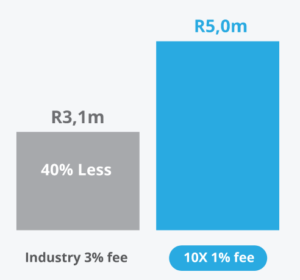 10X Investments called on South Africa’s Department of Basic Education this week to reconsider the “potentially catastrophic proposal” to remove mathematics as a pass requirement in the education system. “Just when you thought we needed to raise our game in terms of maths literacy, the national education department starts a consultation on lowering the standards,” the asset manager said in a statement. The education department confirmed earlier in the week that it had started a consultation on proposed amendments to pass requirements for pupils in grades 1 to 9, which would see mathematics removed as a compulsory pass requirement. 10X – which is disrupting the asset management sector by offering simple, low cost, index tracking products as alternatives to the confusing and expensive array of choices available in what has been described as “the most profitable sector ever” – warned this proposal risked exacerbating a number of simmering crises in the country. 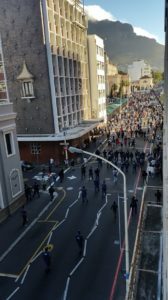 “South Africa already has an unemployment crisis, a pensions crisis, a growing crisis of confidence in the education system,” it said. “Basic mathematics is an essential building block in many of the sectors that are driving the so-called Fourth Industrial Revolution. To fulfil the promise of this revolution, which is to use new technology to leapfrog many in the developed world, young people need to be given the tools essential to mastery of the technology. Without maths it is hard to imagine how this is possible,” the 10X statement continued. “The world economy is becoming increasingly science-orientated, with less complex pursuits at risk of automation. Those countries that fall behind in maths will fall behind in global growth and global competitiveness. Those who lack maths skills immediately close the door on many future career choices. 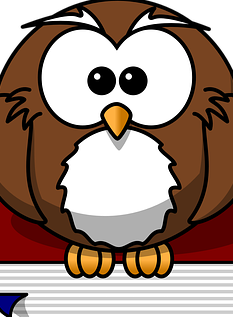 “Besides, maths is not simply about mastering numeric skills. A maths pass is a certificate in problem solving, in logical thinking, in systematic thinking, in applied thinking, in deductive reasoning, in discipline, in application. “These skills are not only essential for success in many careers, they are key to making good life choices. From balancing the household budget to choosing a pension provider who does not take the lion’s share of your savings, basic skills of reasoning are important. “The future already looks bleak for thousands of graduates who are unable to find work. “It looks bleak for the working population too. According to National Treasury only 6% of the population will have accumulated enough money to retire comfortably. “Who will create jobs and opportunities for these young people? Who will support these old people? It is hard to imagine how having more graduates with lower competencies will help anyone. 10X called on the Department of Basic Education to reconsider the proposal. “Let’s avoid a race to the bottom,” the statement added. 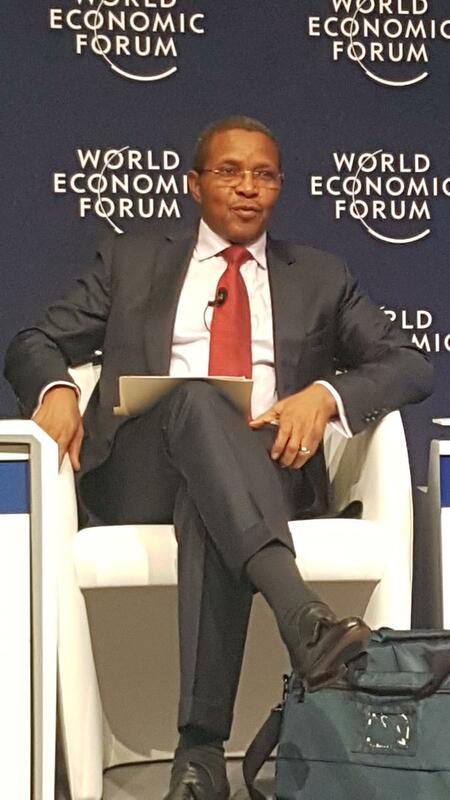 Respected African elder statesman Jakaya Kikwete told the World Economic Forum’s Africa meetings in Durban that the education crisis in Africa was today’s civil rights struggle, and called on leaders in the developed and developing worlds to act urgently. Tanzania’s former president was speaking in his capacity as Special Envoy for the Education Commission, a global body convened in September 2015 to address the crisis in education in low to middle-income countries. 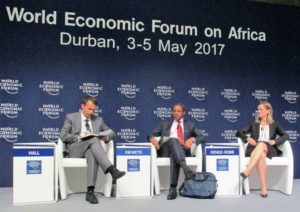 The commission called a briefing of journalists gathered for the WEF Africa 2017 meetings in May to announce a “breakthrough” international finance facility for education, which it called “an essential step to ensure the Sustainable Development Goal of an inclusive and quality education for all is met by 2030”. The commission was convened by a number of concerned world leaders, from the director-general of the United Nations Educational, Scientific and Cultural Organisation (Unesco) to the prime minister of Norway and the president of Chile and many others. Kikwete said this august body had put together a team of 27 commissioners from around the world to tackle the crisis. These experts in knowledge and education and other relevant fields include eight Africans, all of whom pack a power punch globally, including Kikwete himself, as well as Graca Machel, Zimbabwe’s Strive Masiyiwa and Nigeria’s Aliko Dangote. The commission’s preliminary findings confirmed that the world is facing alarming education crisis that is significantly more pronounced in the lower and middle income countries. Kikwete noted that this meant all of Africa since the continent had no high income countries. The commission found that education standards in these countries lagged high income countries by as much as 70 years. Kikwete, who has recently completed a research tour of an initial 14 African countries, said there are 100 million youngsters out of school in Africa of a global total of 263 million. At current projections, he added, that figure would have grown to 130 million by 2030. And, for those who did start school, he said, completion rates were low, with too many dropouts at all levels of education. As things improved in other countries, they seemed to get worse in Africa, Kikwete said. It hardly bears thinking about what the numbers would be by 2050 “when two billion jobs will have been replaced by automation”. He talked to the dual problem of limited resources not being used wisely. As an example of what could be done with limited funds Kikwete mentioned Tunisia and Vietnam, countries with similar GDP per capita but where learning outcomes are dramatically different. Where a learning outcome in Tunisia averaged 64 percent, in Vietnam it was 96 percent. The chief adviser to the commission, Caroline Kende-Robb, told the briefing that the problem was magnified by changes in the aid world. As the education crisis had become more pronounced education’s share of aid had declined. Kikwete said the commission was calling for an “unprecedented intervention” into this “grave” situation to facilitate a catch-up with high income countries. The commission is calling for a compact between high and low income countries where developing countries commit to a plan of action to improve education outcomes, and developed countries commit to supporting them in this. The big news at WEF was that the commission plans to create a fund of $10 billion annually as an international financing facility for education to support the aims of this compact. When journalists asked how this proposal would be different from other grand development plans that had failed to transform things on the ground, Kende-Robb said this was not just about handing money out but rather a partnership. She told Call Off the Search after the briefing that funding would be linked very closely to specific outcomes that would be measured on the ground. The obvious, such as pass rates and attendance at school (by teachers as well as pupils), would be accompanied by other measures of things like willingness to innovate and adopt modern practices. The proposed fund would be used to provide grants as well as to provide loan guarantees and to subsidise interest payments. But it is early days yet and journalists seeking detail about implementation of the proposal, which the commission will be taking to the upcoming G20 summit in Germany in July, were disappointed. All eyes will be on Germany in July but in the meantime the commission will continue its work closer to home. 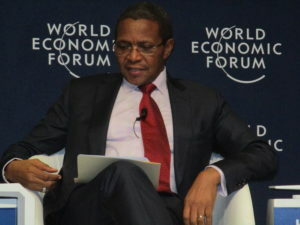 The next step is a methodologies workshop Nairobi in May, where delegates from across Africa will go into detail, Kikwete said, identifying challenges as well as solutions and how to cost them. Whatever the outcome of these meetings on the continent and abroad, Kikwete said, dealing with this crisis was everyone’s concern. If the education crisis in low and middle income countries was not tackled, he said, by 2050 there would be a “huge surge” of migrants from the affected countries.